Happy Monday everyone! Monday's can't be bad when you have Julie Nutting Chipboard to play with! This is Robbie and I'm super excited to have my first post for the Leaky Shed Design Team. I'm a big fan of Julie Nutting and actually purchased her book and played with her tips for drawing my own dolls. Let me tell you, having them all cut out and ready to go is much easier than coming up with your own! As you've already seen from some of the other designers, these little dolls are so versatile and there are endless ways to decorate them to suit your personal style. I made a sign using three of the chipboard dolls. 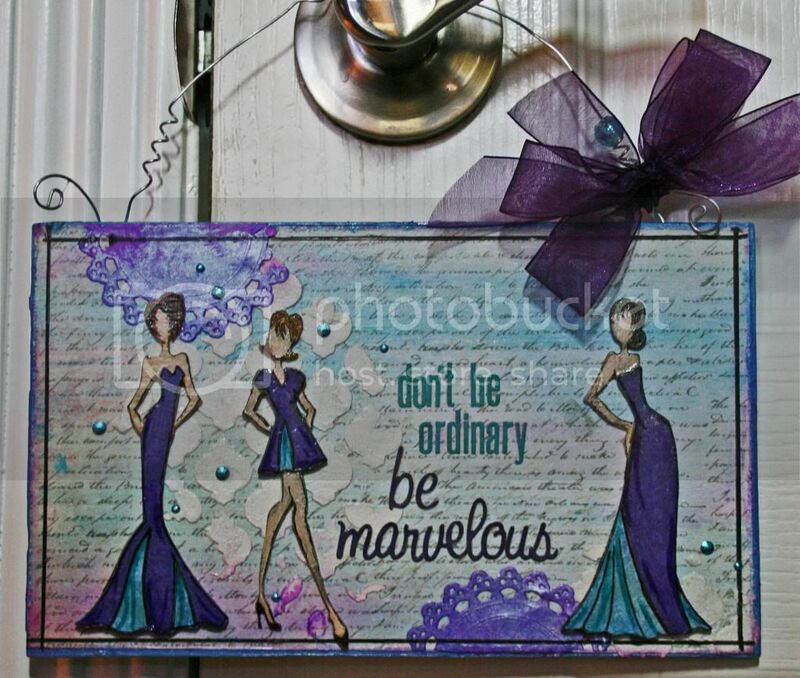 This sign is only about 5x8" so it makes a perfect little door hanger. It is one I picked up at Hobby Lobby for about a dollar. I am forever picking up little bits and pieces to alter. I chose to paint the doll's bodies and hair and to make their dresses from paper. Tip: Before I started decorating them, I ran them through my printer and made a copy. I then printed the copy on lightweight cardstock to make a pattern for cutting the clothes. It's a super quick and easy! 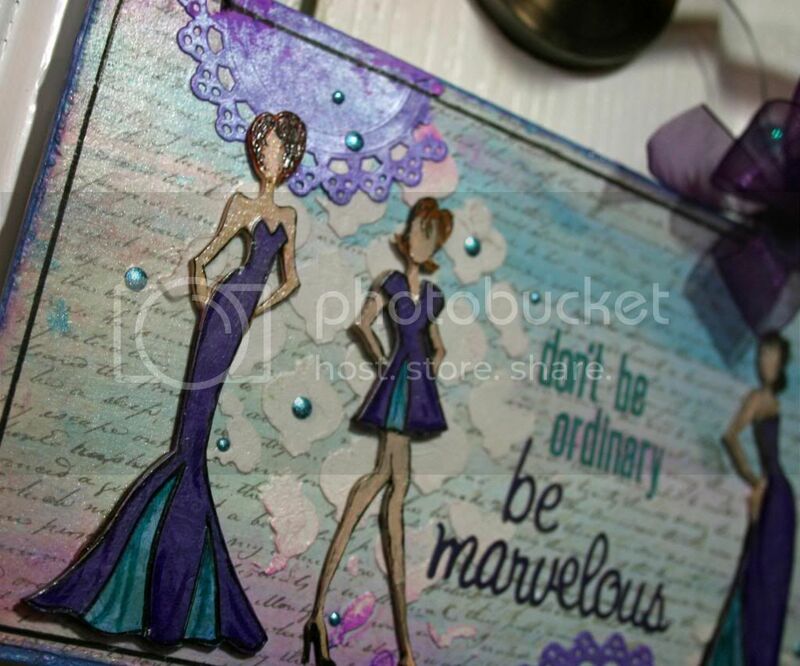 After covering them with paper, I used my PITT Big Pens to add some details to the dresses in purple and blue. I used a fine Pitt Artists pen to do the outlining and the details on their hair. You can see that the outlining and details that I added are very loose. I wanted some movement in the dresses but didn't worry about perfection. Just a few brush strokes will do the trick. To finish them off, I spritzed them with Perfect Pearls to add some sheen. Wowwwwwwwwwww! This is amazing!!!!! 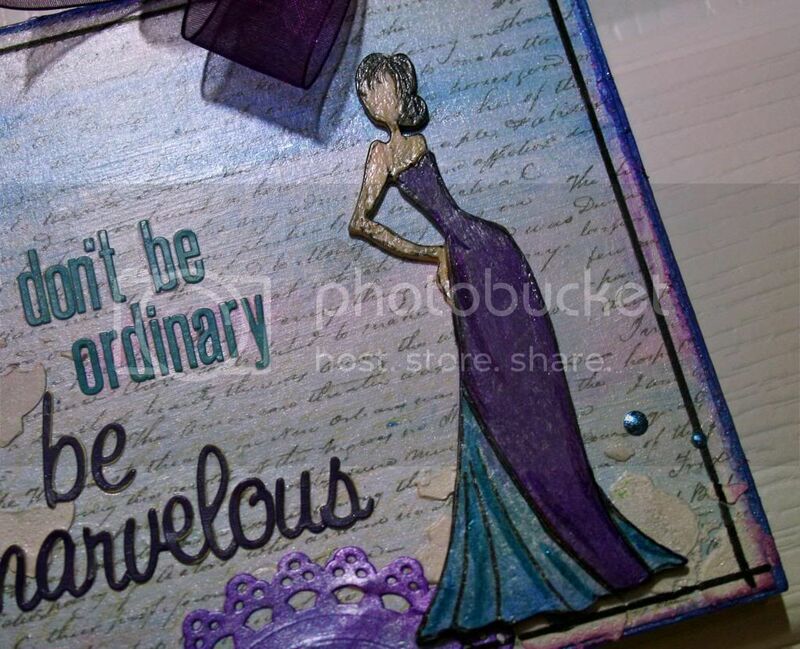 Gorgeous colors and loving the quote!!!! Gorgeous sign Robbie and I love the technique you used for creating their clothes! Robbie love this! Love the colors and all the shimmer! 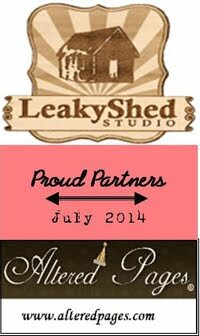 Steampunk with Leaky Shed Studio! Santa's helper, Naughty or Nice? Paint, Stamps and Embossing powder! Dressing up your chippies with embossing powder! Julie Nutting dolls. Step by step video. Leaky Shed Studio Nutting Dolls- Day Two! Leaky Shed Julie Nutting chipboard dolls!